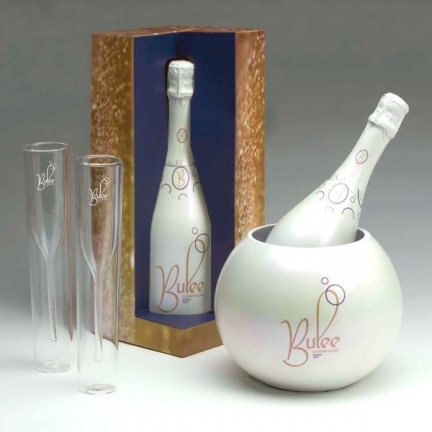 The only true champagne comes from the region of Champagne, France, which is the inspiration for this product line. 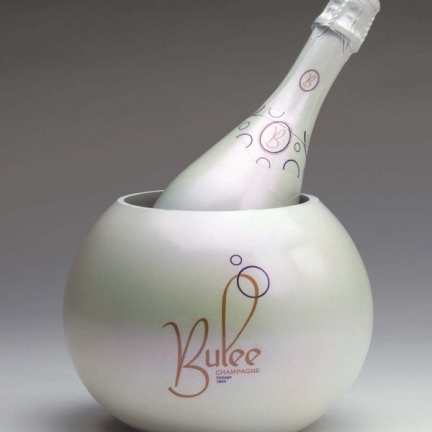 Bulee is a modification of the word bullee which is French for bubbly, a commonly used nickname for the enticing elixir. 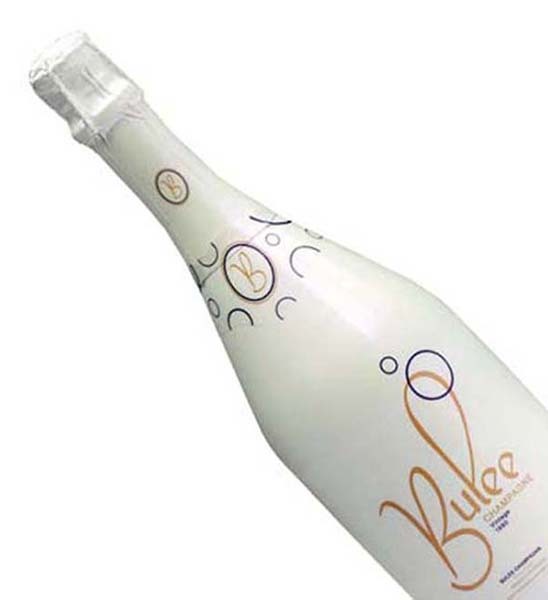 My approach to this logo identity needed to excite the 21 to 35 year old female gender. Encompassing the many circular strokes that the modified Kalligrand typeface offers, the entire concept aims to embrace the characteristics of bubbles. Coupled with a casual script font, this contemporary logo assimilates a slight, yet bold attribute that compliments the identity as a whole. The bottle itself is aimed to liken itself to a bubble from the use of white and pearl-like colors. 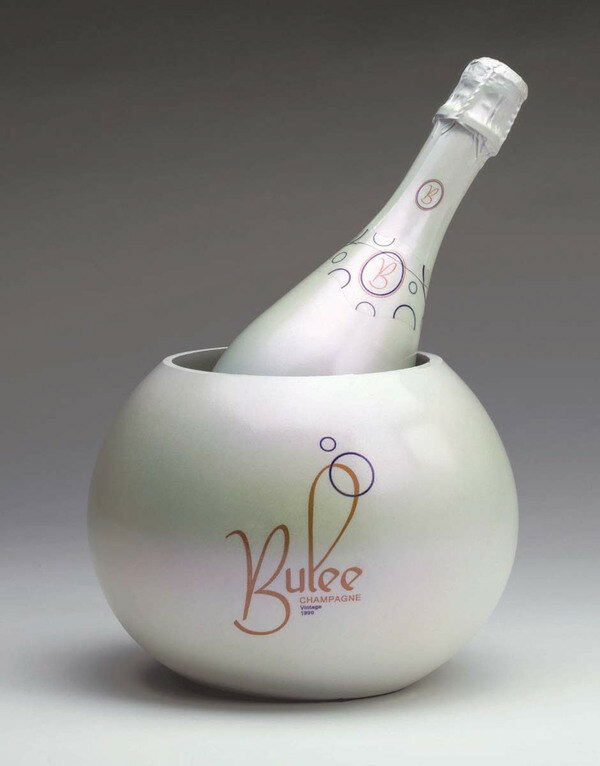 Coupled with its stark, bubbly packaging, beautiful inside out engraved champagne flutes and a discreet, easy-to-use ice globe/bucket, the Bulee Champagne campaign is a delightful offer to this beguiling beverage.